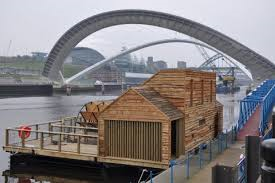 Flow – a musical instrument playing the sound of the river Tyne. Flow is a musical instrument that plays the sound of the river. Click here to watch the documentary about this fascinating project. This entry was posted in swimming music and tagged Ed Carter, flow, Newcastle, Nicky Kirk, Owl project. Bookmark the permalink.